Why Do You Sometimes Lose Your Golf Swing? Have you ever played a round of golf where you were hitting the golf ball well and then all of a sudden you lost your golf swing? We call that the Disappearing Golf Swing. This situation shouldn’t be handled with panic or anxiety. Your golf swing is not lost. You still have your golf swing. You don’t just lose it. However, it is our job to help you find what are some of the causes (bad habits and compensations) that contributed to the Disappearing Golf Swing. Your golf swing may disappear for a little while as it is impossible to be 100% consistent for 4 hours on the golf course. 100% consistency really has never happened in the history of the game. So if a Professional Golfer that has been practicing for 6 hours a day, 7 days a week for 20 years has a Disappearing Golf Swing … you should expect for it to happen to you. Now, I absolutely know that I will be receiving emails from “experts” that tell me that I shouldn’t tell Golfers that they should expect to have a Disappearing Golf Swing … continuing by telling me that Golfers should always stay positive and expect for the best outcome. I understand what these “experts” are saying, however that is not reality. And setting unrealistic expectations for yourself is the main reason a Golfer will more frequently experience a Disappearing Golf Swing. Not accepting that you will have periods of bad streaks will cause you to start to fiddle and tinker with your golf swing. Thus having you move farther and farther away from what you were previously doing well. What causes a Golfer to go on a downward spiral? Fiddling and Tinkering. There is a fine line between a great golf shot and a terrible golf shot. The difference is as small as a half inch – perhaps the distance between the center of your golf club and the toe of your golf club. How delicate is that half inch? Try this: place a coin in your hand; set-up as if you were going to hit a golf shot (with nothing in your hand except the coin). Now swing back (a full golf swing) and through, releasing (underhand tossing) the coin across the room. Now leaving the original coin in its resting spot, take another coin and do this again. Were you able to have that other coin stop less than a half inch from the first coin? My first thought is that it probably isn’t that close. What does the example above represent? It shows how difficult it is to be consistent. 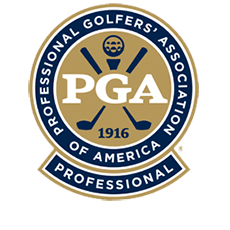 Meaning, if it is that difficult to be consistent doing something as easy as tossing a coin … how difficult is it to do something as difficult as making a golf swing to hit a golf ball? Without exception your golf swing will disappear from time to time. It is something that will happen and you will need to live with. 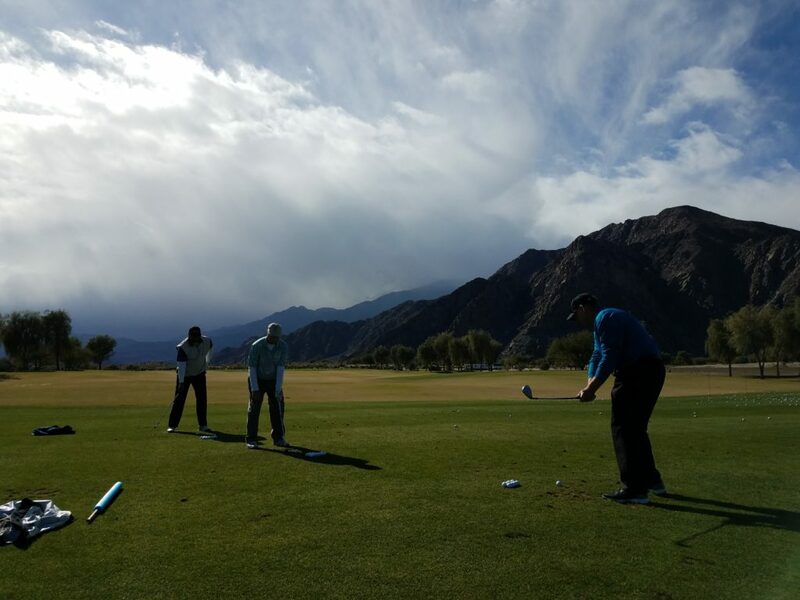 However, the better the skill level of the Golfer … the less time the golf swing will disappear. This is where effective practice comes into play. The Golfer that goes to the driving range to merely hit golf balls often experiences longer periods of Disappearing Golf Swings because these are the Golfers that are most often confused with their golf swing. The Player that has an effective Practice PLAN of combining drills with the hitting of golf balls is the Golfer that experiences less time with a Disappearing Golf Swing. How much time should you spend hitting golf ball versus doing drills? Well, the drills should take up most of your time on the driving range. What do I mean by that? Perhaps you should read the previous Golf Improvement Weekly from May 24th (Issue #332 “Better Golf Practice, Better Golf Swing!”) to getter an idea of what an effective practice session should look like. First remember how difficult it was to make a consistent toss with that coin … and then you’ll understand how difficult it is to make a consistent golf swing. Thus, your Disappearing Golf Swing is nothing more than a lack of consistency. Yet, the more effective you practice … the more consistent you become. When’s the last time you really looked at the effectiveness of your practice routine?